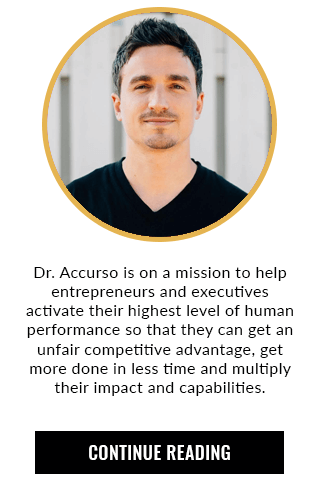 Our guest today is Dr. Jeff Spencer, a world-class coach, consultant and doctor to high-achieving entrepreneurs and Olympic gold athletes around the world. Dr. Spencer is the creator of the Champion’s Blueprint, and models his program on the premise that success is not an accident, but rather an outcome of deliberate actions consistently applied. He explains that will and talent aren’t enough to achieve your goals, and emphasizes that many people are incredibly talented but don’t have the traction to move forward. The distinction lies in how you place your dreams and goals within a framework that allows them to be successfully implemented. To that end, he offers the following 10-step blueprint for success. In determining your motive for success, it’s important to do a thorough vetting and make sure all of your reasons are honorable. If the motive is right, there will be coherence to the process. Ask yourself, what is the impact of achieving your goal; how will it affect you and others, including the community and the world. The impact should be positive and confirm your purpose. Keep in mind that if you don’t encounter difficulties, your goal is probably set too low. This is not the same as simply positive thinking. You must understand the forces within you that will either support your ambitions, or will deter you from completing our goals. We all have fear-based human instinct that isn’t driven toward excellence, but rather survival, and you can’t let that mindset control your decisions. You must to tap into the champion’s mindset instead, and understand the challenges you will face. The proper mindset gives you courage. You have to have good physical health to sustain the effort, and to be able to push when you have to push. Good health is usually the first thing that people forfeit. Your health needs to be continuously managed throughout the process so that you don’t have a preventable health crisis, and you also maintain the level of vigor needed. Make sure you have the skills, resources and knowledge necessary to responsibly pursue your goal. This includes workspace, support, equipment, and a monetary reserve. This should be vetted by a third party to ensure you have everything you might need. After you’ve completed your preparation, it’s time to start your business. Keep in mind that if your goals are just about self service, you don’t deserve success because you’re not coming to it honorably. Continue to refine your skills to such a point that this culminates in achieving your goals. If you have only one goal, at this point you’ve achieved that goal and you’re done. But if you want to make it to the top of your discipline, you take your goal and refine it further to become the best in your category, producing in minimal time with no errors. This requires a team capable of performing at that level, so keep in mind that the team you used up until this point might not be good enough. This step can be emotional and present new challenges. Remember that what got you to level eight isn’t the same thing that will get you to level ten; once you’ve achieved the goal, the rules that got you there become obsolete. Develop mastery over the success process. Remember that at this level of performance, if you aren’t getting criticism, you’re probably not doing enough; there are always people who want to bring you down. Find a team that can support you and help you to recognize any blind spots before they detonate.